For the fourth year in a row, we start the New Year with a comprehensive look at the global financial markets. 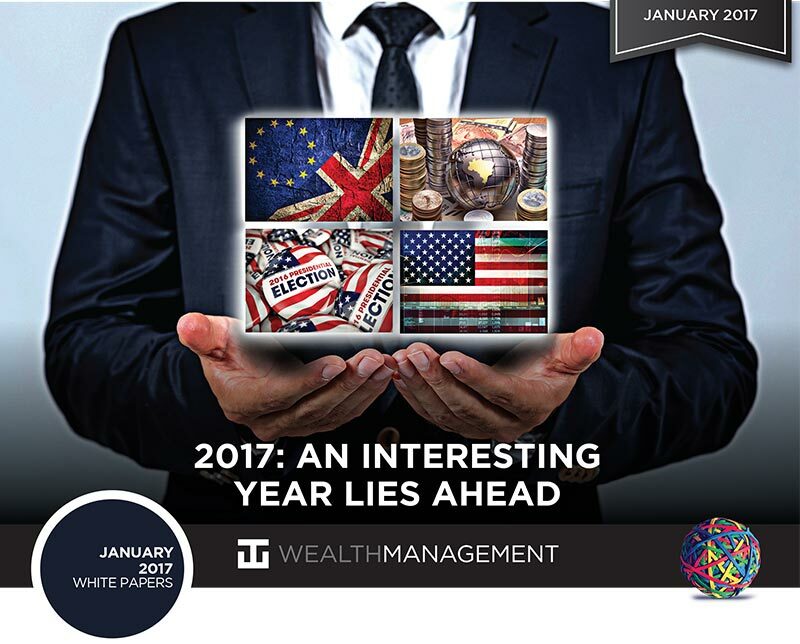 At WT Wealth Management, we thoroughly research, read, debate and discuss how best to position our clients’ portfolios for the coming year. Our discussion takes place every month when our Investment Committee gathers. Yet we always feel a renewed sense of vigor in conducting our analysis when a new year begins, because the preparation of our clients’ portfolios for what may happen in the coming year is paramount to what we do as investment managers. The financial markets in 2017 may be some of the most anticipated and closely scrutinized in modern history, as we are about to inaugurate one of our most untraditional presidents. Two once-in-a-generation seismic geopolitical events—the upcoming Trump presidency and Britain’s exit from the European Union (Brexit)—marked 2016 as a game-changer across the global landscape, with significant implications for economies and markets around the world. If there was ever a time to believe in your investment philosophy and strategy convictions, it was 2016. Populist politics and anti-globalization sentiment have set the stage for significant policy change in 2017 and beyond, in our view. While much uncertainty about the final effects of Brexit and the Trump victory remains, we can already see that some of these changes will likely hasten shifts that were already under way (interest rate normalization in the U.S., for example), while other changes represent significant departures from previous trends (e.g., an about-face on free trade). For investment managers, these changes translate into a pivot on the kinds of approaches needed to achieve clients’ portfolio growth, income from it, and principal protection objectives. As the global economy enters its eighth year of subdued recovery, most would think the march higher would be concluding rather than re-firing. Clearly, since Election Day the financial markets have embraced the President-elect, and investors are hoping the U.S. will enter a period of renewed economic recovery and less stagnant gross domestic product (GDP) growth. Since the start of the Obama presidency, the U.S. has faced headwinds and political gridlock that have slowed its economic growth below its 50-year GDP trend-line. With a Republican-controlled House and Senate we could see some, or all, of the changes investors have called for over the past eight years, all of which could lead to explosive economic growth: tax cuts, infrastructure spending, deregulation, a simplified tax code, and the repatriation of the tens-of-billions of dollars overseas that could return to the U.S. with corporate tax reform and a potential amnesty period for repatriated funds. Think about this. Apple has $275 billion in cash overseas. It’s there because they do not want to lose 35% in tax-es by bringing it back to the U.S. With that amount of money, Apple could buy every NFL franchise, every Major League Baseball team, every National Hockey League team, and every NBA team, and have a few bucks left over. That’s major cash that for years has just sat offshore doing nothing for Apple, the U.S. or its people. In our view, leading themes that have served investors well over the past several years are shifting in the face of a changing investment backdrop. Investment advisors will need to consider areas of the market that will benefit or suffer from a possible reflationary environment that will alter, for example, the search for yield. Over the past several years, with the 10-year treasury falling to pre-World War II levels, investors flocked to such traditional yield alternatives such as high dividend paying blue chips, REITs, Utilities and Consumer Staples equities in an effort to obtain more traditional yield results. This is not without risk, as no utility stock or consumer staple stock has the same safety as a U.S. Treasury bill. Valuations on income proxies—utilities, consumer staple stocks, Real Estate Investment Trusts (REIT), preferred stocks, etc.—have already expanded dramatically from a valuation standpoint, leaving little room for error. Since Election Day the Standard & Poor (S&P) 500 sector leadership has rotated from yield to earnings growth considerations, and widely held sectors like those listed above have seen the largest price declines as investors have sought cyclicals, technology, industrials and materials and abandoned what they perceived to be “safer” sectors. Volatility, as measured by the CBOE Volatility Index (VIX), has been relatively low since Election Day, but episodic bursts of volatility indicate potential for more dislocation as markets adjust to the new realities and trade trends announced on news and Tweets. The potential for further political turmoil affecting markets in 2017 abounds everywhere. Elections in Germany, the Netherlands, and France will be scrutinized for signs of populist and Euro-skeptic influence, any growth of which will unsettle markets in Europe. Simultaneously, the region continues to grapple with the bumpy, uncertain path leading to Brexit, with speculation on the nature and impact of subsequent rearrangements of trade and political relations. On the macro front, the global economy’s capacity to weather these potential storms is uncertain. Global growth has trended below average for the past four years, and we expect it to remain so in 2017 and into 2018. We thus view the U.S. as the very best place to invest. Europe, China, and Japan have dragged down the global GDP, as they are mired in low-rate, low-growth environments that often suffer from political gridlock akin to what has plagued the U.S. over the past decade. After years of unconventional monetary policy to combat stubbornly low growth and inflation, the U.S. is cautiously proceeding with rate normalization, while central banks in Europe and Japan have shown hesitation to extend negative interest rates and asset purchase programs. With monetary policy perhaps at its limits to stimulate growth, a turn toward fiscal stimulus (which will also appease social discontent in some countries) is likely in 2017. Resultant inflation and debt implications set up a very different opportunity for investment strategies. Trends that investors have come to accept as the norm over recent years should be reassessed for impact and risk. By their very nature, shifts in the investment environment can be fraught with hazards. Translating rhetoric into action around fiscal expansion and infrastructure spending could spawn a virtuous cycle of increased spending, rising confidence, and perhaps resignation of the U.S. as the global economic engine. At the same time, faster inflation and rising interest rates will put pressure on bonds. Overall, we see 2017 as a year that will continue to be punctuated by significant, and at times unpredictable, political and economic change. 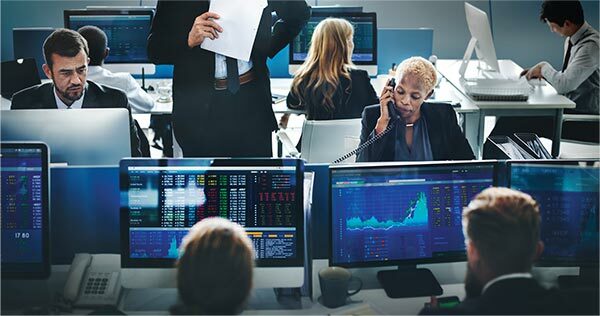 Portfolio managers will need to consider how best to position their clients’ investments every step of the way as events unfold and years of policy change are unraveled and redesigned. Many of our clients can stop here and skip to our conclusion and portfolio positioning section at the end. If you want a more detailed read on many of the topics we briefly touched on, please continue reading. As the calendar flips to 2017, the world economy faces ongoing structural and cyclical challenges that could perpetuate the anemic, fragile global environment. 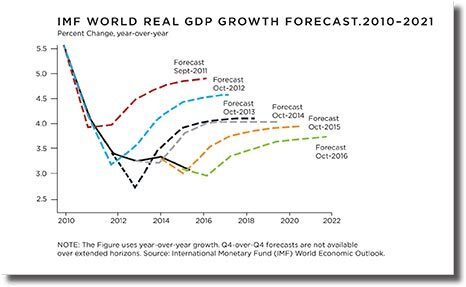 Global growth has slowed progressively since 2010. Following a thoroughly lackluster 3.1% expansion in 2015, the world economy is hovering near that level again in 2016. Even with what looks likely to be a dose of fiscal stimulus in the U.S. (and possibly elsewhere), it is unclear whether the world economy can avoid another sub-par performance in 2017. If not, that would make six consecutive years of below-average growth—an unusual event that has not happened since the early-tomid-1990s. The recovery from the global financial crisis (GFC) is approaching its eighth anniversary—not an age at which cyclical forces will likely strengthen on their own. On the contrary, growth has slowed in the U.S., and virtually ground to a halt in Japan. The UK appears unlikely to escape entirely unscathed from the uncertainties surrounding Brexit. And while Europe has gained a little traction, it seems unable to break out to the upside, as some of its major economies are hampered by a lack of competitiveness and no mechanism to fix it. Meanwhile, in the emerging world China continues to slow, and tensions with the U.S. over trade probably will not help in that matter. Capital outflows are weakening exchange rates, which increases the burden of hardcurrency debt. Terms of trade have deteriorated despite some recent upticks in commodity prices. In addition, debt-deleveraging and slower credit growth are restraining domestic demand, and financial conditions are tightening as the Federal Reserve gradually normalizes interest rates. To break through these many constraints on growth, policy support is needed. But while the recent U.S. election strongly suggests a change in policies afoot, it remains highly uncertain for now what those changes will be. On the one hand, economic initiatives such as fiscal stimulus—particularly in the shape of high-multiplier infra-structure spending—could boost U.S. economic growth, at least temporarily. On the other hand, any meaningful shift toward protectionism in the trade arena or an overly aggressive immigration stance would have long-lasting detrimental effects, triggering a bad combination of lower growth and higher inflation that will leave everyone worse off. While some fiscal stimulus won’t hurt, and would be quite welcome, the world’s economies truly need a refocus on the type of structural reforms that can boost long-term productivity and reignite self-sustaining higher growth. Yet again, the U.S. economy started the year slowly, with GDP rising just 0.8% (annualized) in the first quarter of 2016, as a slowdown in consumer spending, drag from inventories, and outright decline in business investment offset improvements in government purchases and housing. But, unlike previous years, 2016 experienced no major second-quarter rebound, as GDP rose an uninspiring 1.4%. Third-quarter growth then went slightly to the upside at 3.2%, with inventories turning positive after five consecutive negative contributions. Though consumer spending, government purchases, and residential construction should continue to advance, the current global environment augurs poorly for exports, and the orders data provide little encouragement on business investment. Notwithstanding the better than-expected third-quarter GDP print, the slow start means that GDP growth may come in at about 1.5% for 2016, or about one percentage point lower than the last two years. Even with growth accelerating modestly in 2017, it will barely exceed 2.0%. The Fed eased aggressively in response to the GFC and has maintained an extremely easy policy since. But, as the labor market continued to tighten, the Fed ended the asset purchase program, began to assess the level of policy rates on a meeting-to-meeting basis, and ultimately hiked the federal funds range by 25 basis points to 25–50 basis points in December 2015. The Fed appears eager to maintain the thread of the tightening cycle but has been frustrated by a combination of weak data, financial market volatility, and uncertainty about conditions overseas. However, we believe conditions allowed the Fed to increase rates by 25 basis points in December 2016 and will enable it to make two more such 25 basis points moves in 2017. This would leave the funds target at 1–1.25% by the end of 2017, which is also in line with the Fed’s latest thinking. Many experts have called for 3-4% rate hikes, which could be harder for the financial markets but better for retirees. We believe that enacting two rate in-creases—in March and September, if we had to guess—is much more realistic. Donald Trump’s election as our 45th President implies radically different economic policies, most notably on trade and the budget. While both candidates opposed the TransPacific Partnership (TPP), Trump also suggested plans to renegotiate or withdraw from the North American Free Trade Agreement (NAFTA) and direct his Treas-ury secretary to declare China a currency manipulator, which could ultimately lead to tariffs on Chinese imports. However, while TPP and the Trans-Atlantic Trade and Investment Partnership (TTIP) are likely moribund, Trump will probably tread carefully on trade, as scrapping NAFTA and/or imposing tariffs would lead to higher prices for a whole range of consumer goods, and possibly spark retaliatory measures that could threaten American jobs. Trump’s tax and expenditure proposals imply a substantial fiscal expansion. Both candidates proposed addition-al spending on infrastructure, but Hillary Clinton called for higher taxes, especially on the top 1% of household incomes. Trump, by contrast would lower the top rate of personal income tax from 39.6% to 33.0%, cut the statutory corporate tax rate from 35% to 15%, and allow corporations to write off (depreciate) the cost of capital expenditures immediately rather than over an extended period of time. Because Trump’s policies correspond closely to those of House Speaker Paul Ryan, and the Republicans control both the House and the Senate, a major opportunity to reduce personal and corporate tax rates is apparent (though immediate, full depreciation may prove a little too radical). This would provide a near-term boost to consumption and investment, but only when the economy is close to full employment. This raises the specter of inflation and the need for the Fed to raise interest rates more quickly than previously anticipated. During the legislative process, proponents will likely argue that the boost to the economy will be sufficiently large for the tax cuts to pay for themselves. President Reagan used this argument in the early 1980s. It did not work then—the deficit blew out, and Reagan was forced to reverse course in 1986—and it won’t work now. Indeed, the Committee for a Responsible Federal Budget estimates that Trump’s programs will add $5.3 trillion to the national debt over the next decade. After crashing during the GFC and double-dipping in 2012, the Eurozone economy has been in expansion mode since the second quarter of 2013. A combination of monetary stimulus, a lower exchange rate, and lower oil prices enabled the recovery to gain a little traction in 2015, when GDP rose 1.9%. However, economic growth has stubbornly refused to accelerate further. Nor do we expect it to: we anticipate a slight deceleration to 1.5% in 2016 and 1.2% in 2017, partly reflecting some modest fallout from Brexit. With Germany highly competitive, France less so, and Italy even less so, it is not surprising that cyclical conditions vary widely among the Big Three. The recovery has been solid (albeit unspectacular) in Germany, lackluster in France, and non-existent in Italy. Regarding industrial production—which better reflects the chronic problems relative competitiveness poses, because much GDP is non-tradable—the differential is even starker. Since an abortive attempt to raise policy interest rates in mid-2011, the European Central Bank (ECB) has eased progressively, with the deposit rate steadily reduced to -40 basis points in March 2016. Moreover, the ECB introduced a genuine quantitative easing (QE) program that it subsequently extended. Then, in March 2016, the ECB announced a range of new measures, which include raising the quantity of asset pur-chases to €80 billion a month, adding corporate bonds to the assets eligible for purchase, and announcing four new four-year targeted long-term refinancing operations (T-LTROs). Further adjustments are possible but will likely be limited to the asset-purchase program, as ECB President Mar-io Draghi appears to have ruled out any further interest-rate cuts. In the UK, growth is expected to slow as the decision to leave the EU delays construction projects, capital spending plans, and hiring decisions. However, we do not expect the economy to fall into recession, with GDP forecast to rise 1.8% in 2016 and 0.8% in 2017. This compares to pre-Brexit projections of around 2.0%. The Bank of England responded to the referendum result by cutting the Bank Rate 25 basis points to 25 basis points in August, as well as resuming asset purchases. A further cut to around 5–10 basis points is certainly possible if conditions warrant, but the economic resilience seen thus far suggests the Old Lady will keep the second move in her back pocket for now. Brexit’s long-run implications are hard to gauge, as they depend critically on the nature of the new relationship between the UK and EU, and formal negotiations on that are not set to begin until Q1 or Q2 of 2017. The UK would like to retain access to the single market while scrapping the supremacy of EU law, free movement of people, and contributions to the EU budget, which is unlikely to happen. Moreover, joining the Europe-an Economic Area (the Norway option) does not appear to work well for Britain. And negotiating a series of bilateral trade deals (the Swiss option) will take much longer than the two-year window granted by Article 50, especially given the UK’s lack of trade negotiators. Rhetoric from Prime Minister Theresa May seems to suggest that a hard Brexit—reverting to World Trade Organization (WTO) status—is more likely than a soft one. Japan has suffered one recession since the policy known as Abenomics (refers to the economic policies advocated by Shinzō Abe Prime Minister of Japan) was adapted in 2013, and is flirting with a second recession: its economy’s virtual standstill. The so-called three arrows of Abenomics—monetary stimulus, fiscal stimulus, structural reform—have had little discernible effect on growth or inflation so far. In an attempt to restart growth, Prime Minister Shinzo Abe announced a fiscal package in early August, which contained about ¥7.5 trillion of fresh-water spending (spending that directly stimulates the economy). The government projects a 1.3% boost to GDP over the near term, but we expect a more modest effect that leaves growth at just 0.5% in 2016 and 0.9% in 2017. Firing the second arrow of fiscal stimulus is appropriate; providing a further nudge to aggregate demand that tightens the labor market and potentially generates much-needed wage inflation seems worth trying. Yet firing the third arrow of structural reform must also be a priority, for that will potentially generate efficiencies in large sectors of the economy, thus boosting productivity and the trend rate of economic growth. Unfortunately, such reforms generally inflict short-term pain for long-term gain, making them the hardest for politicians to make. The Bank of Japan (BoJ) continues to fire the first arrow of “Abenomics”. In early 2016, it introduced Quantitative and Qualitative Easing (QQE) with a negative interest rate. This tweaked previous asset purchase programs in which the outstanding balance of each financial institution’s current account (reserves) would be divided into three branches, one subject to a -0.1% interest rate. But even this had little positive effect, prompting the BoJ to comprehensively assess its policy actions and ultimately adopt a new policy framework: yield curve control. Specifically, the BoJ added a new target of 0% on 10-year government securities, reflecting a desire to prevent excessive flattening (inversion) of the yield curve that compromised bank, insurance-company and pensionfund earnings, as well as the growing impracticality of increasing asset purchase sizes. While the BoJ has not ruled out further changes to short-term rates and asset purchases, its primary focus is now apparently yield curve control. Emerging Markets: Will They Ever Re-emerge? The global economy’s failure to return to its pre-crisis pace of growth is well known. This deceleration has been remarkably broad-based, and emerging markets (EM) have lost much of their shine in the process. They had shone brightly through the 2000s, a period that could easily be dubbed the ‘Emerging Markets Decade.’ The EM growth premium (the positive growth differential relative to advanced economies) widened steadily to an all-time high of 5.8% in 2007-2008. But by 2010, as the advanced economies enjoyed a post-crisis rebound, this performance gap narrowed to 3.6%. By the end of 2015, it stood at a mere 1.5%, the lowest since the Asian financial crisis of 1997. That is, the world has slowed, but the slowdown has been particularly obvious in EM. decades. Every commodity-exporting country is feeling the pain: South Africa, Nigeria, and Mongolia will experience virtually no growth in 2016. Yet this doesn’t sound entirely disastrous until placed in the context of Nigeria’s 8.9% average annual growth during the 2000s or Mongolia’s 11.1% growth during 2010-14. Trump’s campaign promises indicate a more protectionist stance on trade and large-scale profit repatriation. This would tend to be negative for EM assets because of implied dollar strength and lower export growth. 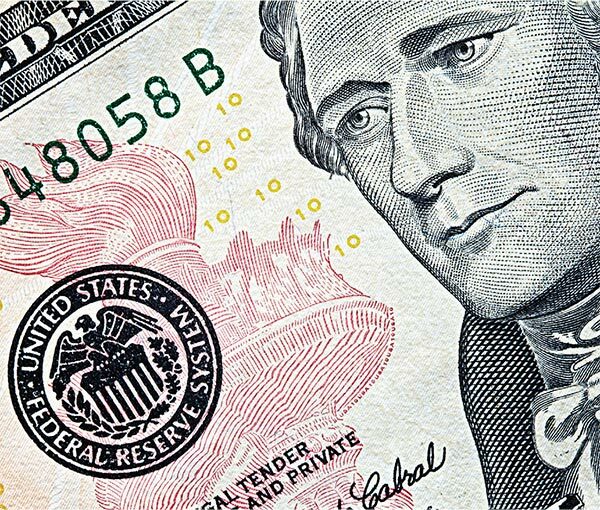 On the other hand, the presumed widening of the U.S. budget deficit should tend to weaken the dollar, and political realities may keep protectionist tendencies in check. Notwithstanding a sharp post-election escalation in inflation expectations, the Fed could choose to tolerate an inflation overshoot for some time, so it is unclear whether monetary policy will tighten more than previously forecast, at least through 2017. This should cap dollar appreciation and perhaps soften the detrimental impact on EMs. The Trump victory means heightened uncertainty and intensifying headwinds for EMs, which is why the quality of the domestic policy response (read structural reforms) becomes even more critical. Therefore, differentiation within the EM universe remains key to investment success. Donald Trump’s protectionist message and the UK’s Brexit vote are perhaps the most explicit examples of a reversal in the postwar trend toward globalization as uneven gains from trade become an incendiary political issue in many countries. Meanwhile, with monetary policy perhaps at its limits, fiscal policy will likely come into greater focus in 2017 as the preferred policy lever of governments to prop up subdued global growth, setting up a very different potential opportunity set for investors. Proposed global trading agreements are losing support. The incoming Trump administration opposes the 12-nation Trans-Pacific Partnership (TPP), which seemed unlikely to get through the U.S. House of Representatives under either presidential election outcome. Meanwhile, a trade-deal between the EU and Canada that was seven years in the making almost collapsed in October. Hard data point to global trade and capital flows holding back global growth. For instance, imports have fallen as a share of GDP for four consecutive years for the 20 largest economies. Also, the number of protectionist trade measures imposed globally in 2016 is five times as many as through the same period last year. A broad reversal in global trade is most certainly negative for global growth and is consistent with our modest return forecasts for global equities. For S&P 500 companies, 30% of revenues are derived from overseas operations, so foreign market growth limitations will make it difficult to reverse the mostly negative trend in earnings over the last two years. Within certain local industries, however, protectionism will be beneficial as firms be-come more competitive domestically yet will be a drag on companies with substantial overseas exposure. As 2017 unfolds, the central role monetary policy has played to support markets and suppress yields will again be evident. Both the ECB (European Central Bank) and BoJ (Bank of Japan) have acknowledged that low and negative rates impair savers, and ECB officials recognize the adverse effects these rates have on lending and bank profits. However, with inflation well below target, the odds are still good that some further monetary policy easing is on tap in the Eurozone and Japan in 2017. Yet the question arises: What additional tools, if any, are available to global central bankers if what has already been tried no longer works? One risk to investors is a possible reversal of the lower-for-longer thematic that has supported bonds and bond-like proxies in the global search for yield. For a taste of what that could look like if expectations are not well managed, an announced extension of ECB’s asset purchase program that failed to materialize in September was quickly followed by higher U.S. and German 10-year rates and falls in high-yielding equities and REITs and, to a lesser degree, growth assets in general. This dynamic repeated itself immediately following the U.S. presidential election as bond yields surged on expectations that unified Republican control of government would set the stage for deficit-financed tax cuts and infrastructure spending. The flipside to the sell off in bonds was seen in equities, with an immediate post election bounce. Equities rallied in anticipation that these same policies, along with some form of regulatory relief, could jump-start growth. It remains to be seen whether policy makers will fulfill these expectations and whether these policy prescriptions might resonate with leaders outside of the U.S. 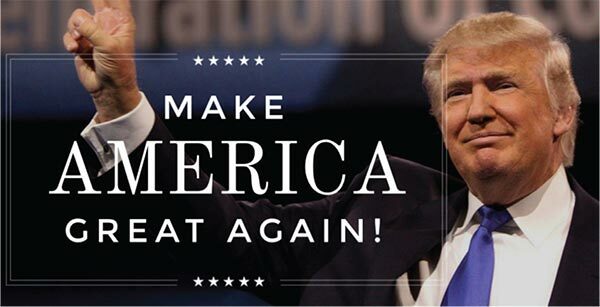 In the U.S., the election of Donald Trump brought pledges of additional infrastructure spending of up to $1 trillion. UK policy makers appear to be targeting infrastructure and housing investment to subdue any economic turmoil related to Brexit. And, while Eurozone nations’ levels of deficit spending are nominally restricted, additional leeway to countries such as Spain and Portugal has been allowed. A pivot toward fiscal policy could impact investors’ portfolios from a number of angles. In this case, infrastructure projects appear overwhelmingly favored, and heavy equipment manufacturers and materials companies should benefit. But be wary: fiscal policy works over longer periods, and, unlike monetary policy with its monthly and quarterly pronouncements, it may not hold the same level of investor attention, because funds are disbursed in fits and starts. We are already starting to see some of these companies bid up. Furthermore, the realization of sizable fiscal programs as actual legislation would likely lead to upward pressure on borrowing costs, though from a very low base. As we head into 2017, our overall positioning is relatively risk-free; we believe that surprises to the upside are much more of a probability than surprises to the downside. Our current positioning reflects some of the opportunities picked up by our research, as well as some of the concerns. Overall, we are dramatically and substantially more favorable to U.S. equities than Europe, Japan, China and most emerging-market economies. Though our forecast return for U.S. large-cap equities in 2017 is in the mid-to-high single-digits (5-9%), we see some potential for upside and enter the year with an overweight position in U.S. equities. A year-end return of 10% or higher would not surprise us at all, and many experts are calling for 2,500 S&P 500, which represents a 10% increase from current levels. 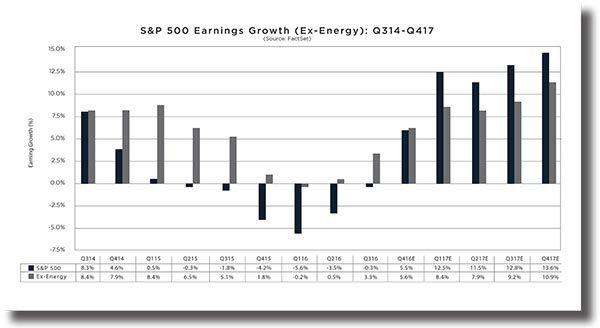 After five consecutive quarters of negative earnings growth for the S&P 500, growth turned positive in the third quarter of 2016, and we expect it to remain positive in Q4. Combine this with corporate tax relief, and we stand poised to see this policy change positively affect both U.S. GDP and EPS (earnings per share). 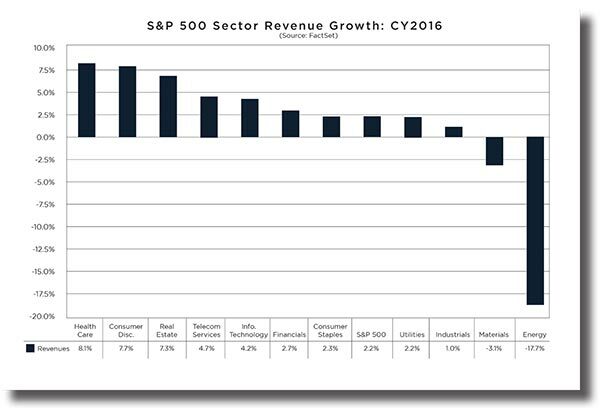 Make no mistake about it—earnings and their growth are the “mother’s milk” of the stock market. Many problems can be overlooked and overcome if corporate America is growing their bottom lines. A strengthening U.S. dollar in the first part of Q4 of 2016 is one risk to a return to positive earnings; 30% of S&P 500 revenues are derived outside the U.S. However, we believe that the positive change in consumer sentiment, possible corporate tax relief, and the proposed repatriation of the billions of dollars overseas would easily negate the impact of the strong dollar. Federal interest rate increases should benefit financials by boosting interest margins, but may limit sectors such as consumer discretionary that have benefited from an easier borrowing environment. Financials should also benefit from the looser regulatory stance anticipated from a Trump administration. Our 1-year forecast for developed equities outside the U.S. is bleak. We believe that the convoluted situation in Europe and the continued problems in Japan make investment in international developed markets a no-win situation and have a dramatic underweight to these regions. Our underweight to these regions in part reflects a perceived decline in the efficacy of monetary policy support in the Eurozone and Japan. Europe is also likely to see downside risk as details of a negotiated UK exit from the EU start to take shape. Financial stocks in both the Eurozone and Japan seem set to remain volatile with continued downside risk in 2017 as the current negative interest rate environment persists. Honestly, we have not been this bullish in over a decade. The U.S. markets from energy to banking have been hampered, constricted and strangled by slow growth, fiscal stimulus shortfall, affordable healthcare mandates and stifling regulation from the start the Obama presidency. Just the “whiff” of a dramatic policy change has sent the markets soaring from Election Day. Make no bones about it—President-elect Trump has to deliver on his promises. In his first 100 days, many of the promises made on the campaign trail will need to get through the House of Representatives for the markets to continue their march higher. That said, we believe many of his promises will actually be implemented, and we could see a period of accelerated economic growth and prosperity in the first few years of the Trump term. How are we positioning portfolios? When CEOs were asked what their first order of business would be if, indeed, money abroad would be repatriated into the U.S., their top three answers were: exposure. Grow their business via mergers and acquisitions. We increased our exposure to dividend-paying companies and in such non-interest-rate-sensitive sectors as technology, industrials and financials, while lightening our exposure to the utilities, real estate and consumer staples sectors. We took substantial allocations in small and midcap companies that could be takeover/buyback targets, since they are typically not affected by a strong U.S. dollar like larger multinationals. This is a rare double reason to move down the capitalization ladder into small and midcap companies. Finally, we used stock buyback ETFs in most investor portfolios. These ETFs screen thousands of companies and take position in the ones that are in the middle of large repurchase plans with free cash flow. We also believe that technology is relatively undervalued, considering its potential for explosive growth rates and its dominance in our daily lives. Companies such as Google, Amazon and Facebook have solid and increasing revenue streams and virtually zero competition. Companies such as Visa, MasterCard, FedEx and UPS are capitalizing on how Americans shop and live today. Americans typically carry no cash today, and a delivery truck is a daily occurrence at some American households. In most cases we have virtually eliminated investor exposure to fixed income, i.e., bonds, REITs, preferred stocks and other income-producing alternatives. Many people assume that these asset classes carry some perceived level of safety, which they do in most economic environments. However, in an increasing interest rate environment, these asset classes are very dangerous assets to own. For example, AGG, an ETF that is a widely followed 10-year treasury proxy, lost nearly 5% from late September through December 28 as its 10 year treasury yield rallied from 1.5% to 2.5%. Keep in mind that every portfolio at WT Wealth Management is different. We understand that each investor is unique, akin to DNA: two 50-year-old investors who make the same amount of money, carry the same debt and have the same time horizon to retirement can have very different investment objectives. When we summarize our strategies above for 2017 and beyond, you could see all or some of these themes in your portfolio. We are excited and anxious to see how the first two months of 2017 develop. It may be easy to forget, with all the hyperbole, news coverage and Tweets about Trump, but Barack Obama is still our President until January 20. Then a new period commences. January is a stressful month—you can either start your year off right or get kicked in the shorts, like last year, when the S&P gave back 7.5% of its value in the first three trading weeks. This is an important time of year, so if you have any questions or concerns about your accounts, please contact the team at WT Wealth Management right after you read this paper. Life often gets in the way, but your portfolio is an important issue. So contact us while this information is fresh in your mind, and we can have a same day discussion, on the phone in most cases.